Celebration of Love Oracle Cards were my first exposure to Schiffer decks, and I was quite impressed with the quality of the packaging and presentation. The deck is encased in an illustrated, well-constructed, and sturdy box that can be re-used for storage and protection. The cards themselves are large enough, 5.3″ x 3.3″ x 1.5,” to prominently display the detailed artwork and oracle message on each. They were a little large for my smallish hands, but anyone used to traditional tarot decks will find them easy to shuffle and work with. The card stock is sturdy and they are laminated. It is my most sincerest intention that these Celebration in Love oracle cards serve your Highest Good and that they spark your intuition and connection with the Divine that is within you always. Apart from the arbitrary capitalization of certain words, I appreciated the sincerity and the heartfelt effort that went into her creation of this deck. At first glance, the art, though very well done, seemed somewhat predictably “new age” with its proliferation of rainbows, angels, fairies, dolphins and doves and unicorns. Not that there’s anything wrong with those things, but as someone not drawn to that genre I hoped the cards would reveal more substance than I initially expected. Wanting to know more about the author, I visited her professional website: “Dreams of Stardolphin: The Visionary Art of Eva M. Sakmar-Sullivan.” I was specifically curious why so many of the cards featured dolphins and was delighted to read the author’s personal experience of overcoming her own fears to swim with dolphins. It is an inspiring story and after learning a little more about her background, I began to feel more of a connection with the author and her cards. She is a professionally trained artist and her attention to detail in her work is considerable. The images, though rich and colorful, are also serene and muted. They appear well-suited to meditative work. In fact, one of the suggested exercises in the booklet gives instructions how to meditate using the cards. The booklet states that, based on the law of attraction, one “will always choose the card that is in vibrational harmony with the answer you seek to your question or what you most need to know at this moment in time.” It also describes the intended use of the cards for daily introspection: “Working with these cards on a daily basis will eventually help you to resonate from a higher energy and have a greater positive impact on your life and those around you.” It then helpfully gives instruction for use, describing how to cleanse and bless the deck and then it suggests exercises for one-card daily guidance, a three-card past-present-future spread, and a meditation exercise. 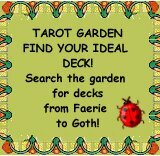 Most of the booklet is an alphabetical index of meanings for each card, each with a “Special Message” that is meant to serve as an action-based directive, something one can practically do to put the card’s message to use. I found the inclusion of these special messages particularly encouraging because I personally appreciate grounding spiritual revelation in earthly action in order to manifest a measurable progress of self growth. 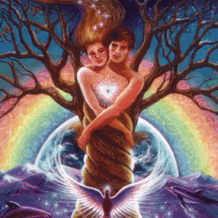 This image celebrates the Divinely balanced union of male/female energy receiving the Sacred download of life force from the Creator, All That Is. It calls us to joyfully allow all our creations and manifestations their birth from this holy state of being. Begin a new project or something you need to do, but are procrastinating. Start it first by centering yourself and call forth the Sacred download from the Creator. See it as a balanced fusion of male/female energy and bring it through yourself and into your hands that hold the energetic “embryo” representing this project. Let it go…then begin. Special Message: There is something that you need to address. There is procrastination surrounding an issue or project you need to break through. You are being inspired to move through the blockage and create. Your action is long over due. Well, that was timely. There really is something significant that I have been procrastinating and that I need to get on with. Despite snickering at the term, “Sacred download” (in the text for the card above) I felt the message was on the mark and useful for me today. 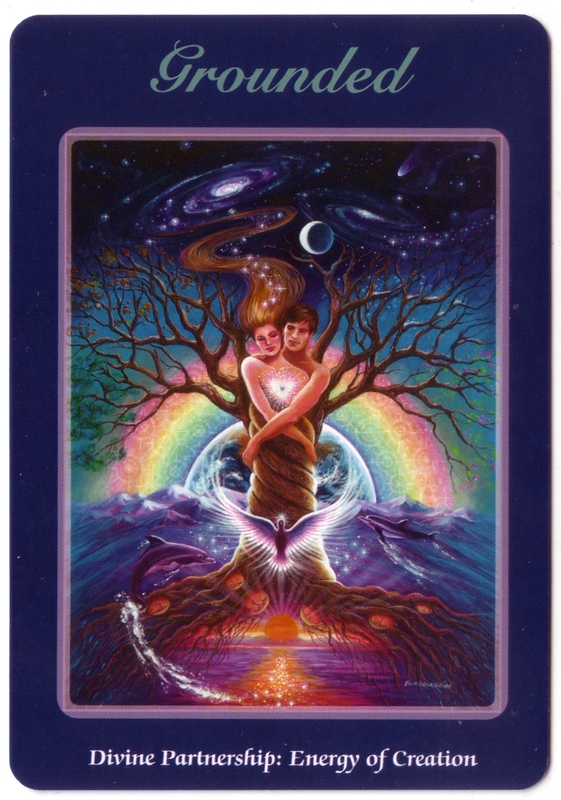 Contrary to my initial impression of this oracle deck, Celebration of Love is much more than airy-fairy, ethereal conceptual art but rather can be an entirely useful tool for daily guidance and growth.